Welcome to Eye of the Eagle Martial Arts School. Eye of the Eagle martial arts was estanlished in 1990, under the lead of our Grand master Bill Azizi who is trained by Kung Fu master .......... as well kmow martial arts in the world. Their knowledge need to be passed to the next generation. Our teaching methods here aim to strenghten up our students both body and mind. We believe they are the core of success. Not only, learn how to be in controlled in the situation but the methods can be used on our everyday life. We have variouse style of martial classes taylor to your needs - adults, senior, kids, fitness, weight loss, illness, depression, entertaining etc. Our Professional Martial Arts Trainers personally encourage and help build confidence while enabling you to lose weight and get fit in the process. This includes basic fundamentals of Martial Arts, Self Defense, Confidence, Discipline, and Respect. 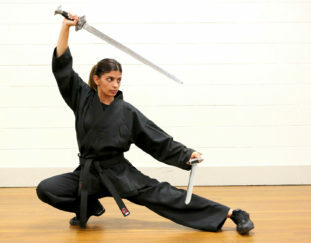 Teaches a Blend of Martial Arts derived from Various Styles which also includes Self Defence Skills. 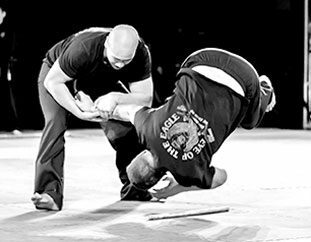 In this Course you will learn how to Defend yourself using your Hands, Legs, Knees, and Elbows. You will also learn how to apply Locks, Chokes, Holds, Restraints, and Take-Downs. We hope you will enjoy and make the most use of your newly added skills. All martial arts type available for what you need. fitness, health, body, mind, weight loss, self defences, tournament, boot camp, martial art act. All skills to make sure you reach you goal or maintaining your health. Fitness / holiday training. Type of martial arts can be discussed. contact us for age group schedule. Self defence, mind, strength, relaxation, illness, depression. We can organise group session or individual. We can come to you or you can come to us. please let us know. Fitness, self defence (link to self defence program page) relaxation, weight loss, depression. we can taylor the class for you. Special program just for individual or group session, team bonding etc. Great program for corporate office - we are available to for onsite team bonding or outdoor space. Contact us for briefing. Martial art has a special recipes to help strength strength your mind & body. A highly recommend activities would boost your confidence and allow you to refresh. Experience in training is the key to get you to your goal. 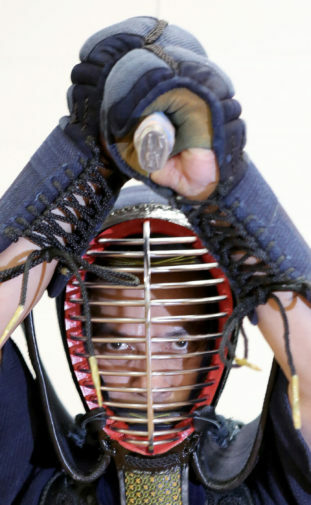 EOE have more than 20 years experience in Martial arts training. Contact us for the type of martial arts you are into. Our team will entertain you with various martial arts skills e.g. sward fight, kungfu, kick boxing and more. We are serious group of entertainer. Please contact us for more information. Grand Master – supervising martial arts training and grading at all locations. Master and founder of the Eye of the Eagle martial arts academy Sifu Bill Azizi has been training in various forms of martial arts for over 32 years. 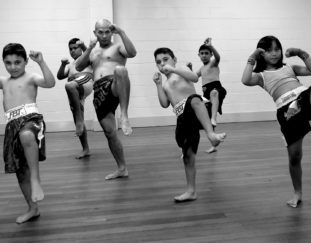 Sifu Bill at the age of 6 started his first Karate class and then also trained in Tae Kwon Do at the Parramatta Police Boys club. Bill reached the level of 4 th dan black belt in Karate and is currently a 6 th dan black belt in Tae Kwon Do and is also recognized in Korea for his achievements. 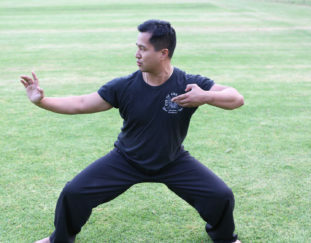 Sifu Bill developed a passion for Kung Fu and began taking classes in Shaolin in Cabramatta which he did for 4 years. In his time, he also tried his hand in Ninjitsu, Kickboxing for 20 years and Muay Thai. Sifu Bill started Eye of the Eagle in 1990 and he has trained a whole range of people from children to the elderly. Sifu Bill has trained security guards, police, commandos, SAS and other people who need these skills. Sifu Bill through all his years of combat training was searching for an art that was superior in combat but had health benefits as well. He was introduced to the president of the Kung Fu association Grand Master Cornelius Coelho in 1991 who was a master in 2 different internal Kung Fu styles Liu He Ba Fa and Wun Yuen Kung. Sifu Bill has become a master in both these styles and still continuous his studies in Hong Kong. He has used these skills in various retirement homes across Sydney to improve the health of his students. Sifu Bill has been awarded the sports encouragement award from the federal minister of sport. Chief Instructor – Roland Fitzpatrick started in 1992 in Parramatta Police Boys where discipline, strength, and conditioning were the lessons. After two years of training he became a confident and efficient fighter. Roland saw the back of many opponents as they left the ring. 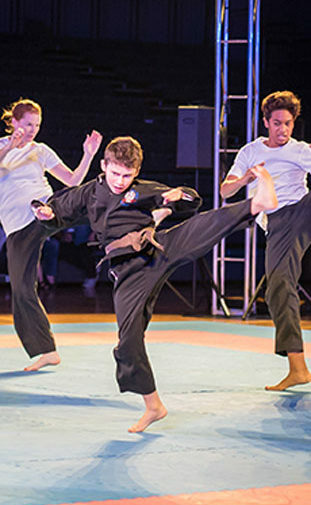 From street hoodlums to martial arts instructors, all came to challenge their club. Most who came, ended up as students, and a few became instructors. Over the years, Roland saw the style change, many angry fighters humbled, and students who grew not only in age but in confidence, discipline, self esteem, and life skills. He poured blood, sweat, and tears in training to become the martial artist that he is today. 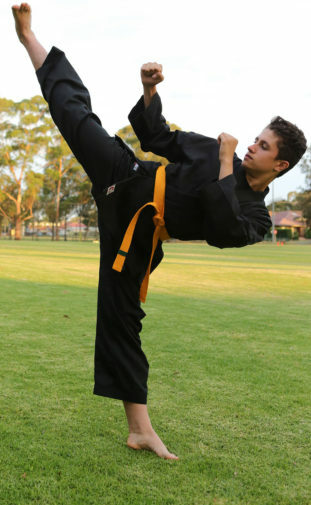 Roland began in Kickboxing, and from there moved on to Tae Kwan Do and Tai Chi. While Kickboxing, he learned Kung Fu and also Chinese Boxing. Tae Kwan Do gave him confidence and strength as a fighter and instructor and it helped him find his weakness and how to make it stronger. He trained in Tai Chi not only because it was relaxing yet challenging to learn, but also because of an appreciation for the speed and impact of the style. Roland Fitzpatrick joined with Eye of the Eagle because their style is unique and he appreciates that it embraces all martial arts and encourages its students to be artists. Frank Fransico began his training journey at eye of the eagle martial arts at the age of 15, he used it as a tool against bullying and a way to stay active. What he discovered was that the training provided him with a complete fighting system, which also helped him to develop a new level of discipline and fitness. This was done by combining initially kickboxing, tae kwon do and karate, this then led him to compete in these disciplines. While training he also has developed skills in helping others achieve their goals at training and competing, these include:general fitness, karate, tae kwon do, boxing, kickboxing and mma. He strives to provide others with a wealth of knowledge and great results, he also strives to keep learning more about martial arts. My name is Tony Azizi, I am a certified Personal Trainer with a Certificate III and IV of Fitness and Personal Training and a part time personal trainer for Eye of the Eagle Martial Arts for over 3 years now. I am currently studying a Bachelor of Musculoskeletal theory at endeavour natural health collage, which is manual medication that focuses on treatment and management of muscle and bone pain and dysfunction. I have always had an interest in sports, health and fitness, I played football in and out of school, all sports in primary school and athletics. I tried studying business and construction courses but did not interest me, but once I applied for personal training course I knew it was for me. I completed my course and then became a personal trainer for Eye of the Eagle. Once I started working for Eye of the Eagle I started learning new things about the body and health and became more interested in it. So I researched health institutes and universities and found a course that caught my attention and now doing the course as a second year student. I have been with Eye of the Eagle Martial Arts at the age of 3 years old and still continue till now at the age of 24 years old but always had eating problems from the age of 16 to 20 Years of age and became over weight for my age and height.Eye of the Eagle has helped me to lose weight as I use to weigh 150 kilos and now weigh 100 kilos and still continuing, giving my clients and the students an example of to never give up and that everyone can do it even myself as I have been through it as well. This has inspired myself and many people of my improvements with my health, body, fitness level, muscle tone/strength and fighting techniques such as Street Self-Defence, Kick Boxing, Boxing, Grappling and Tae kwon Do and other styles and techniques. Eye of the Eagle has lead me to a great path and future for myself and my health, helping me to achieve my goals within my career as well as with my weight as well as helping others. I am proud to be an instructor of Eye of the Eagle Martial Arts. Jack is driven by a passion for Traditional Muay Thai, Muay Thai Lumpini & Close Combat Military System. The combination of Thai core beliefs along with agile and precision movements, makes Muay Thai a sport for those who appreciate physical exertion and mental discipline. Jack’s love for the sport started at the age of 8 when he was scouted as a talent at a Thai military boarding school. His commitment and natural aptitude for Muay Thai enabled him to collect many accolades and respect along with experience and awards. He won both Muay Thai State & National Championships in the under 55kg divisions, and was scouted to join the Royal Thai Military in the Muay Thai Special Force Team when he was 21. After completing his education, he joined in the security industry and after learning the ropes, he was quickly promoted through the ranks and is now working as a senior field support officer and mentor at SNP Security. He spends his time coordinating and training new recruits on street awareness, reading body language and self defence tactics. Jack has combined these skills with Muay Thai to create a unique Thai self defence course, that is fun, enjoyable and healthy for the body and mind. Jack is well rounded instructor, with 20+ years of experience, supplemented with training and education in other martial art forms, including being a 2nd Dan in Mix Martial Arts (Muay Thai, Brazilian Jiu Jitsu, Judo, Wrestling and Taekwondo). He has a keen eye for natural ability and has a passion for personal growth and encouraging the best out of everyone. He welcomes all to his classes, regardless of experience or level of fitness, and is delighted to share the wonderful world of Muay Thai with each participant in the class. If Muay Thai appeals to you, he is ready to guide and train you to advance as a future fighter in the core fundamentals and philosophy of Muay Thai. We believe Jack is great asset to us at EOE, and with Jack’s expertise we look forward to seeing the stellar development of Muay Thai athletes from our establishment. My name is Said Azizi and I have been training with Eye of the Eagle Martial Arts under Sifu Bill for the past 12 years. Before I began my martial arts journey I was a shy person with low confidence and self-esteem. The training was intense and really challenged my attitude on life. The training helped me to get fit, increase confidence and self-esteem. I now have the confidence to instruct classes independently and perform in-front of hundreds of people at demonstrations. I have performed at many events including the Royal Easter Show, Chinese New Year festivals, Thailand Lunar festivals, Mind Body Spirit Festivals in Sydney and Melbourne and various charity events. I have performed in many different styles including Tae-Kwon-Do, Kung Fu, Muay Thai, Weaponry, Tai Chi, fight scenes and breaking boards and roof tiles. The confidence and motivation gained through training allowed me to complete my Diploma of Bowen Therapy and establish a successful business. It also enhanced my ability to effectively communicate with others and establish personal and professional relationships. Through consistent hard work, commitment and dedication I have recently earned my Black Belt (first dan). Achieving this goal has taught me that hard work and commitment will bring success to anything that you strive to accomplish. I will forever be thankful for all the lessons attained through my journey under the guidance of Sifu Bill. He has given me the knowledge and skills to overcome all obstacles in life. I will continue to endeavour to move forward and succeed in all aspects of life and martial arts with the guidance of Eye of the Eagle Martial Arts. My name is James McMurtry and I have been training with eye of the eagle since midway through 2006. The reason I started was because a friend dragged me along but I also had been doing dialysis (treatment for kidney failure) for about a year and I wanted to see if doing martial arts could give me some help with some of the problems that I was facing. Happily I found Sifu Bill and he began training and helping me. He is very understanding when it comes to my health however he still pushes me as much as he can. I have now been training in kung Fu for 5 years and taekwondo for around 4 years and enjoying every minute. I have also been trained in some meditation techniques that have helped me heaps especially since I had a kidney transplant 3 years ago. In this time I have gained a red sash in my Kung Fu training and a single black tip in taekwondo. I hope to gain a black belt and higher and continue to learn all that I can I want to become an instructor, so that I may pass on all that I have learned, and have the ability to help other people in similar situations to me. Tae Kwon Do is a style of Martial Arts originally created in Korea more than 2000 years ago. The Art of Tae kwon do involves dynamic techniques of unarmed combat for self defence purposes, combining kicking, striking, blocking, punching, dodging and interception techniques. Tae Kwon Do combines both the physical and mental into a single concentrated force to put down an opponent regardless of their size, age or strength. Tae Kwon Do is suitable for men, women and children and does not require any prior level of fitness or knowledge. Tae Kwon Do improves flexibility and conditioning of the entire body; enhances concentration, discipline and self confidence; and promotes good character and ethical conduct. So whether you want to get fit, de-stress, tone up, get motivated, gain energy, boost your confidence or all of the above. Tae Kwon Do is one for fun the martial arts type to practice. Our grappling program is one of the things that that set our school apart from others. Grappling is taught to students as a way of self defence and allows students to lock opponents without injuring them or vice versa. It is vital to learn grappling in self defence situations as many real life fights may end up on the ground. Not only is grappling important in class but we find that students all have fun in the process, should you feel pain students are required to signal by tapping on the ground, yourself or partner as with your opponent, should they tap you must immediately let go. 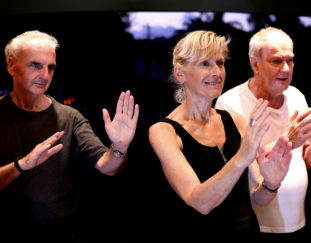 Tai Chi for Seniors is designed to improve the quality of life for people with arthritis and other ailments using Tai Chi (Qi Qong) on of our most recognised styles of Tai Chi. This style includes steps and exercises that improve mobility, breathing and relaxation. The movements in this form don’t require deep bending or squatting and can be done with people that are in a seated position, which makes this style easier and more comfortable to learn for seniors. We also teach this form of Tai Chi to people who are hearing and vision impaired. Stress in the workplace is also major issue facing everyone today. This course explores the nature and causes of lifestyle stress and Tai Chi as an effective strategy for its prevention and management. The benefits of Tai Chi would be improved sleep, health, emotional well being, stamina, fitness levels, breathing and better relationships with family, friends and collegues. Experience. 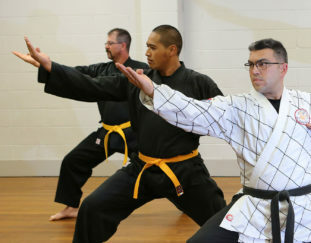 Our Chief Instructor has had over 20 years experience in Tai Chi and has taught and still teaches in many Aged Care facilities, schools, Gyms, TAFE’s and Colleges. We have held many Tai Chi demonstrations, our recent been at the Royal Easter Show and Mind Spirit and Body Festival yearly. Hold many certifications and qualifications in Tai Chi and many other forms in Martial Arts. He has also been recognized by the media (John Laws) as been dedicated in in the arts of teaching Tai Chi to Seniors. Facility – We come to you! An open space is all that is needed for us to be able to teach the residents. Tai Chi will provide an all-natural remedy. Those who have joint problems such as arthritis will be pleasantly surprised at how easy on the joints this form of exercise can be. Tai chi increases range of motion, balance, and flexibility in a slow, easy way. This is a completely non-impact form of exercise. You’ll learn deep-breathing skills that help relieve anxiety and stress, in addition to toning muscle. If you haven’t been exercising for a while, tai chi can be a great place to start. Karate is from two Japanese words, ‘Kara’ meaning empty and the word ‘Te’ meaning hand – combined to ‘Karate’, meaning ‘Empty Hand’. This is the basis for Karate, as the style does not use weapons other than the parts of the body. Karate can also be described as a martial art, or fighting method, involving a variety of techniques, including blocks, strikes, evasions, throws, and joint manipulations. Present day Karate is categorized into four parts — physical conditioning, self defence, mental conditioning, and a sport. Kung Fu also sometimes referred to by the Mandarin Chinese term wushu is one of the traditional Chinese sports that utilizes both the brain and the brawn. The theory behind kung fu is based upon classical Chinese philosophy consisting of kicking, throwing, hitting, holding, chopping, unarmed combats, self defence. Kung Fu has its roots firmly planted in the Shaolin temples. The shaolin five animals consist of dragon, tiger, snake, crane and leopard. Tiger : The tiger represents courage, strength and power. Crane : The crane is known for its longevity. The crane Movements allow a practitioner to deliver flowing, relaxed power as well as sudden and focused attacks. Kickboxing dates back to Asia 2,000 years ago, although modern competitive kickboxing actually started in the 1970’s. The form of kickboxing we use in class is cardiovascular (cardio) kickboxing, which which combines elements of boxing, martial arts, and aerobics to provide overall physical conditioning and toning. kickboxing classes usually start with 10-15 minutes of warm-ups, which may include stretching and traditional exercises such as jumping jacks and push-ups, followed by a 30-minute kickboxing session that includes movements such as knee strikes, kicks, and punches. Kickboxing not only keeps your body fit but also can burn anywhere from 350 to 450 calories an hour!! Controlled punching and kicking movements carried out with the discipline and skills required for martial arts, kickboxing reduces and relieves stress, improves balance, flexibility, coordination and endurance levels. Kickboxing is a great way to keep the body in shape whilst learning basic self defence moves. Eye of the Eagle Martial Arts Academy offer the most empowering self defence training program to suit each and every individual. Our workshops are designed to deliver simple and effective strategic decisions to get you immediately thinking about the choices you make. These choices can help you decrease the probability of a sexual or violent assault, improve your initial reaction towards unwanted behaviour, and increase the effectiveness of physical self defence. Using various styles of martial arts you adopt and develop a safety mindset that gives you the edge in difficult situations. We have helped many individuals and groups, to better prepare themselves for unforseen future events. Help us help you! In this program participants are introduced to the basic principles of Self-defence. Simple maneuvers for escaping from a number of different grabs, pinches and strangles are taught. This program begins with controlling techniques utilized at various less than lethal levels of resistance. These techniques are commonly used by Police and Security personnel during routine encounters with aggressive subjects. Techniques within this block of instruction are intended to be used when the encounter is not life threatening. The techniques in these courses are designed to enhance an individual’s ability to protect themselves in sudden, unexpected violent confrontations where the individual fears serious bodily injury. This section is dedicated to unarmed combatives, demonstration and execution of the impact strikes of close quarters combat. These strikes are taught to be executed from various body positions and distances. They are placed in working sequences so the individual can develop flow of execution, making the system almost instinctual during survival stress. Application of learned techniques is demonstrated and reviewed for various aggressive situations, to possibly include encountering multiple assailants. Our program helps woman rebuild their trust, self esteem, confidence and self worth. We have helped many individuals and groups, to better prepare themselves for unforseen future events. We not only hold workshops for all age groups but also provide educational demonstrations. We will be more than happy to work with your staff to deliver on your immediate needs and provide you the desired outcomes. Our Self Defence Workshops run for 1 hour and cost $20 per head, minimum number of participants are 10. Once the workshop is completed you would have learnt basic blocks and self defence strategies for common attacks on women including chokes, hand grips, head locks, knife and gun attacks. We strongly recommend that all women should be armed with the knowledge of self defence. E,O.T.EM.A is recognized by the Australian Sports Commission (ASC) to deliver workshops on-site at schools, as either part of a physical education class or as part of the schools Active After-School (AASC) or Out of School Hour’s Child Care workshops. (OSHCS). These workshops are tailored to suit both kindergarten levels to year 12. These workshops run with the emphasis on FUN while at the same time promoting Fitness, Teamwork, Discipline, and Self Control. Our program teaches children from 4+ how to respect their bodies as well as there parents and teachers. E.O.T.E.M.A teaches (Basic self defence/stranger danger and fitness techniques for children, teaching them to be more aware and avoid confrontation. This activity also works inline with most schools anti bullying and Harassment policies). 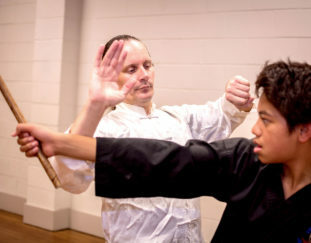 Our student workshops teaches values such as goal setting, self esteem, self confidence, self discipline and persistence as part of the curriculum, through combined fitness techniques influenced by martial arts. Our program maximises student’s physical and mental development while still keeping training enjoyable and exciting. They learn to use training for health while learning important life skills such as stranger danger awareness, anti-drugs, exercise and nutrition. Through training we teach children about making choices that can effect both their mental and physical health. All kids at all ages. We offer Private lessons (One on one or group) in all Martial Arts types. please contact us for more details. Our Academy offers students the chance to train for Tournaments through Private Lessons. Many of our students have trained and fought in Tournaments in various styles with undefeated records. Please email us or call Bill 0414 635 166 if you are interested in participating in Tournaments. If you are looking for strengthen your style foundation and on stage fighting technique. please contact us. “Chi Kung” “Qigong”, Qi meaning breath and “Gong” meaning achievement dates back several thousand years to the Zhen Dynasty (11th Century BC-771 BCE). Chi Kung (Qi Qong) is a health exercise based on Traditional Chinese Medicine theory. It emphasises the flow of Chi through the acupuncture meridians and is excellent for calming the mind and regulating the breath. The “Three Essentials of Chi Kung” are posture, mind and breathing. • Strengthen the practitioner both physically and mentally. Liu He Ba Fa, Liuhebafa, Liu Ho Pa Fa, Lok Hop Ba Fa literally means Six Harmonies and Eight Principles. Liu He Ba Fa uses external and internal training to strengthen and fortify the body and it is something that goes to the core of what is essential in Martial Arts. As an internal art, it not only serves as a system of self defence; it also benefits health, strengthens the body, dispels sickness and increases longevity. We have weekly training sessions of Liu He Ba Fa as part of a group or private lessons if preferred. Water Boxing is a traditional Taoist internal martial art, based on the study of harmony It is beneficial for health as well as an excellent system of self-defence. The founder of water Boxing is Chen Tuan (c. 906 -990), a famed Taoist sage and mathematician. The Main Form of Water Boxing is divided into four sections. The first section is similar to Tai Chi, which contains postures such as the White Crane Spreads Wings and Cloud Hands although in water boxing these postures is part of a longer sequence. The second section of the Main Form shows BA Qua influence. This is an important section on an energetic level where the aim is to strengthen and expand your energy field. The third section of the Main Form shows Hsing-I influence. The momentum begins to increase in this section. The fourth section the different planes become an energy ball, with the strength increasing, new energy is pumped into the body. After a session of Water Boxing one feels rejuvenated and there is a sense of vitality. Keep the kids fit and active this holiday whilst learning martial arts styles and defence techniques. Games, Activities and fitness workout tailored for kids. Increased Fitness, Improved Muscle Tone, Strength and Endurance. Healthy Mind & Body Through Improved Fitness, Confidence and Self Esteem. TO ENROL PLEASE CALL 0414 635 166 or send us an email. Wun Yuen is a Taoist internal martial art which includes Qi Qong exercises, meditation, push-hands, and the Wun Yuen set of forms. Wun Yuen dates back to the Han Dynasty (206BC-220AD) ) by two of the senior disciples of Taoist Master Lao Tzu, named Ngai Bak Yeung and Chiu Chi who developed the style in order to attain and develop the Six Unions. The first five Unions involve focusing on co-ordination of the Body, Heart, Intention, Chi, Spirit, and Movement. The sixth Union outlines the unifying of Movement and Void, that is, the co-ordination of the previous five Unions without the need to focus on them, actions become reflex, with the primary principle of been spontaneous and effortless. The art of Wun Yuen was handed down over the generations to Taoist Monks within the temples and remained a closely guarded art.The Wun Yuen Kung International Martial Arts Association traces its lineage from Sung Sai Wai from Mount Ng-Toi (Wu Tai Shan) who was the first man outside of the Taoist temples to be taught the system. In around 1917 Sung began teaching the Lee family (Lee Cheung Wah, his older brother Lee Cheong Wing and their uncle, Lee Chun Yee) the system of Wun Yuen. In the later part of his life (around 1960), Lee Cheung Wah then taught the system to a Liu He Ba Fa (LHBF) Sifu named Lo Chi Wan who met him while practicing LHBF in the Botanical Gardens in Hong Kong. In 1984 Lo Chi Wan began teaching Wun Yuen to His LHBF student Cornelius Coelho, who later became a Sifu in both systems. 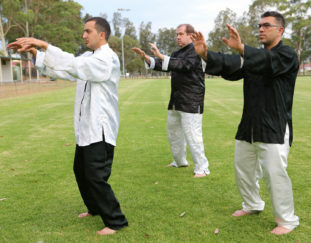 Sifu Coelho has since moved to Australia where he formed the Wun Yuen Kung International Martial Arts Association. Master Cornelius since than trained Master Bill Azizi (Sifu) the arts of Wun Yuen who continues to teach only the very keen of students to this day.